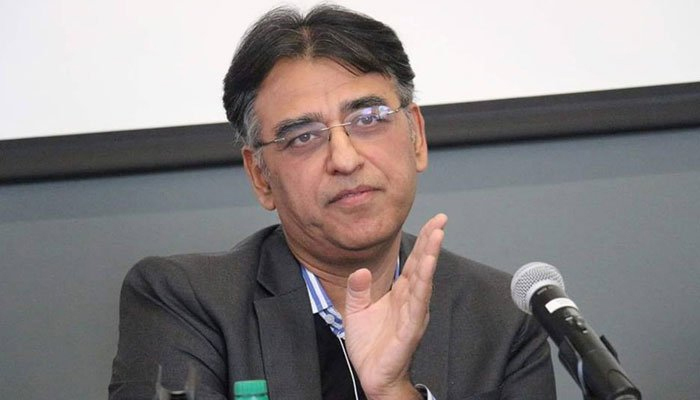 KARACHI: Finance Minister Asad Umar on Saturday announced to present the government’s mini-budget on January 23. The mini-budget was initially expected on January 21 but was delayed owing to Prime Minister Imran Khan traveling schedule. "Tax anomalies will be removed in the mini-budget," the finance minister said. "Any changes in tax policy will be made after approval from the Parliament," he added. Umar went on to add, "Powers of Federal Board of Revenue's (FBR) statutory regulatory orders (SROs) have been withdrawn." During the meeting, industrialists also raised objections over authority given to low cadre FBR officers. “Till we don’t create a favourable environment for private investors, they will not invest after certain limit no matter how patriotic they are,” he added. “Pakistan Tehreek-e-Insaf (PTI) is the only political party which mentions ease of doing business in its manifesto. Every month a meeting is summoned and chaired by Prime Minister Imran Khan to discuss ease of doing business,” said the Finance Minister. Last month, during his briefing to the Senate Standing Committee on Finance, Umar had said that the government is weighing in the possibility of bringing another supplementary budget. This would be the second such budget introduced by the Pakistan Tehreek-e-Insaf (PTI) government since it was voted to power in the July 28 general election. The minister had presented Finance Supplementary (Amendment) Bill 2018 in the National Assembly in September, saying that “difficult times called for difficult measures”. The ‘mini-budget’ had axed planned development expense and increased taxes for high earners.